Pine Trees: The state of Florida has two types of pine tree, the scrub pine and the slash pine. Sand Pine (Pinus clausa)- Sand pine is also called scrub pine. The natural range of sand pine is limited to parts of Florida and Alabama, where it grows well in the acidic soils that developed from ancient Pleistocene sand deposits. Sand pine has an extensive, fibrous root system that helps to stabilize soils and prevent erosion. The trees are susceptible to insect damage, especially from bark beetles and sand pine sawflies, and may also suffer from mushroom root rot. Sand pine is most often seen in dense, even-aged stands that require regular fire to open and release the cones. The Big Scrub region of central Florida has the largest stand of sand pine, encompassing 250,000 acres in the Ocala National Forest. Slash Pine (Pinus elliottii)- Because of its rapid growth rate, slash pine is a valuable southern pine for reforestation projects and timber plantations throughout the southeastern United States. 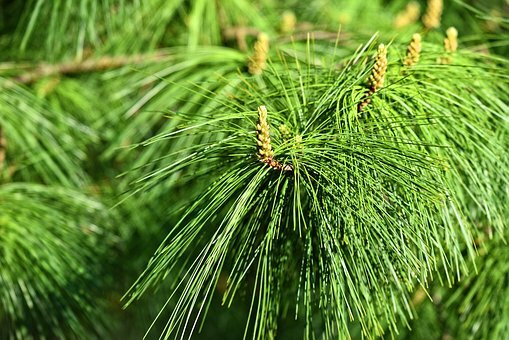 Slash pine is naturally found in wet flatwoods, swampy areas, and shallow pond edges. It can occur in the low sandy soils that are poor in nutrients. The pine seeds of slash pine are an excellent food source for gray and fox squirrels and wild turkey. flatwoods slash pines have been planted, grown, and harvested over millions of acres. It takes 30 years to become saw timber size (greater than 9" in diameter). 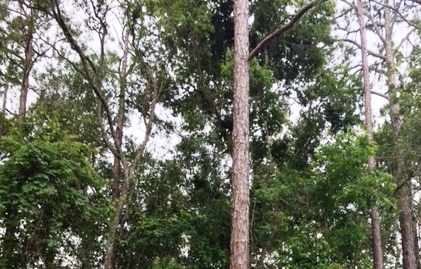 Slash pine is an excellent forestry investment. A good site can produce a well-stocked stand of about two cords of wood per acre per year. Pineland Acacia (Acacia pinetorum)- The pineland acacia is a perennial shrub. It is a Medium shrub with long zigzag branches armed with stout pairs of stipular spines. Leaves thin and feathery, light green. It has spiny branches and a green to grayish-green bipinnate leaf. The pineland acacia is an accent flowering shrub in sunny locations. Also an effective and colorful addition to spiny barrier plantings. 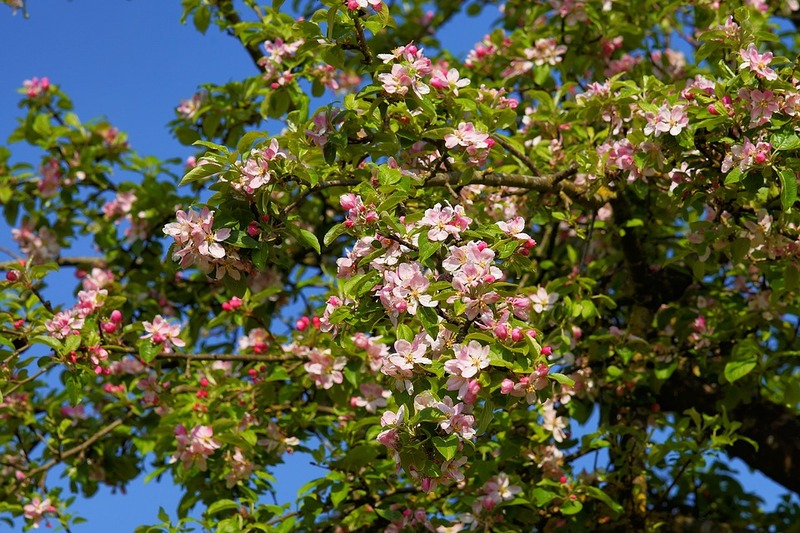 The typical height for this shrub is 3-6 feet and it rarely grows to 10 feet or more. The pineland acacia is as broad as it is tall or broader. 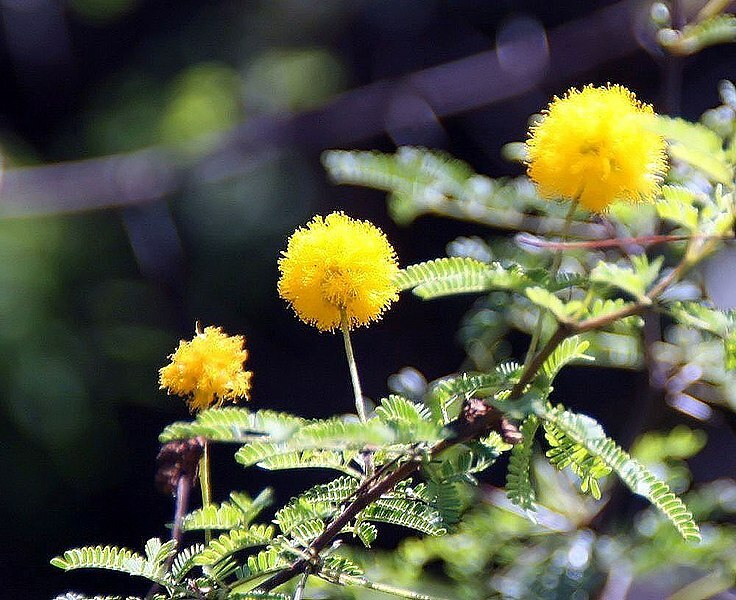 Found in Florida's Pine rocklands, marl prairies, coastal berms and shell mounds, the Pineland acacia is found in Monroe, Miami-Dade, Collier and Lee counties. Pond Apple (Annona glabra)- A kind of black sheep of the Annonaceae family, the pond apple is found wild throughout much of the American tropics. The flesh is usually palatable, but often pales in comparison to the more illustrious members of its family, the cherimoya, sugar apple, soursop and atemoya. Some trees do produce nice fruits and the species has its admirers. A medium-sized tree to 40-50 feet, pond apple's can stand immense flooding and spend weeks at a time with their roots under water. The pond apple is very useful as a rootstock for other Annona species. Native throughout the West Indies and north to Florida, the pond apple is a predominant species in the Everglades. Queensdelight (Stillingia sylvatica L) -Queen's delight is a perennial herb growing to 4 feet tall. Leathery, elliptical alternate leaves, about 1-3 inches long, are finely toothed and nearly stalkless. Yellow flowers of queen's delight (March-August or all year in warm climates) are petalless and occur in dense terminal spikes, with the male blossoms along the upper part of the spike and the female blossoms along the lower part. Queen's-delight was once a popular home medicine with settlers in the region. They claimed that its root had many virtues. Native to the United States, queen's-delight grows from Virginia south to Florida and Texas, and west to southeastern Colorado. Red Mulberry (Morus rubra) -Red mulberry extends from Massachusetts and southern Vermont west through the southern half of New York to extreme southern Ontario, southern Michigan, central Wisconsin and southeastern Minnesota; south to Iowa, southeastern Nebraska, central Kansas, western Oklahoma and central Texas; and east to southern Florida. It is also found in Bermuda. 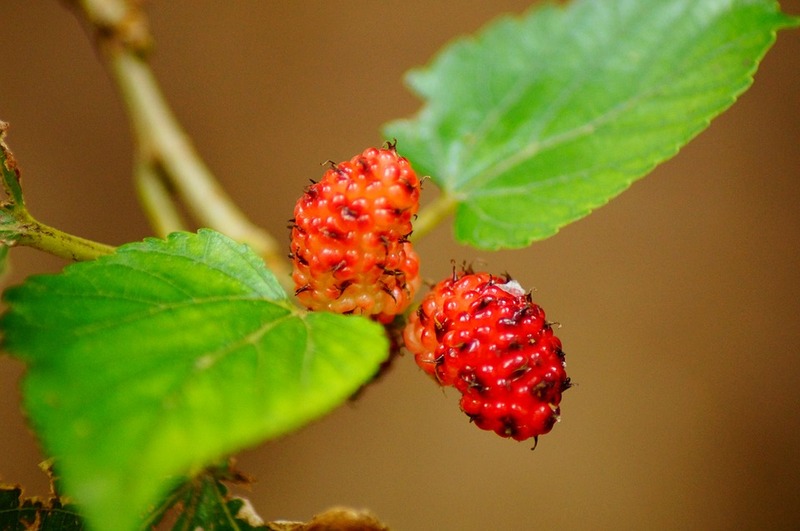 Red mulberry grows on a variety of moist soils. Red mulberry is dioecious but can be monoecious, with male and female flowers on different branches of the same plants. Both male and female flowers are stalked axillary pendulous catkins and appear in April and May. The blackberry-like fruit reaches full development from June to August. Each fruit is composed of many small drupelets which develop from separate female flowers ripening together. 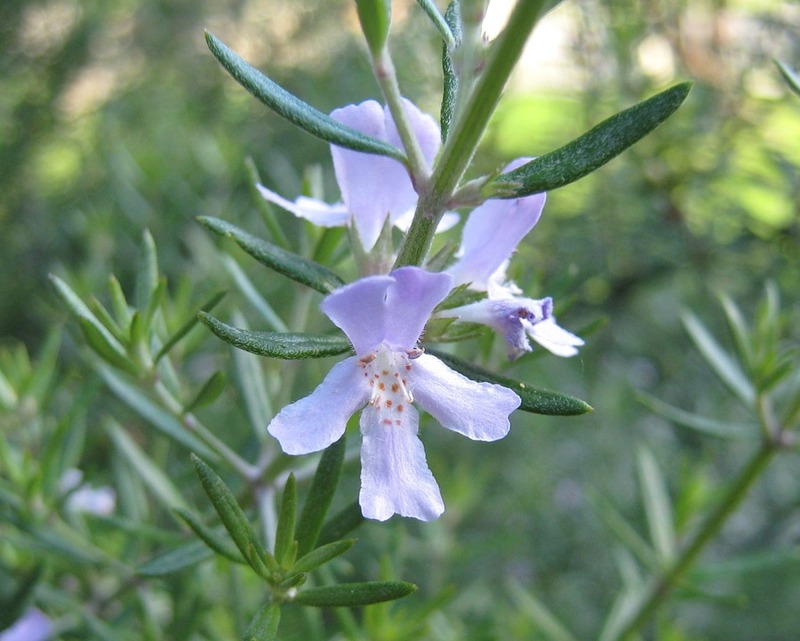 (Florida) Rosemary (Ceratiola ericoides)- Rosemary, also called Florida rosemary or sandhill rosemary, is a native shrub distinguished by its rounded form. The shrub gives off a chemical substance that delays the germination of its seeds until after the parent plant has died, thus ensuring a full-sun location for the bush to grow in and reducing competition for water and nutrients. 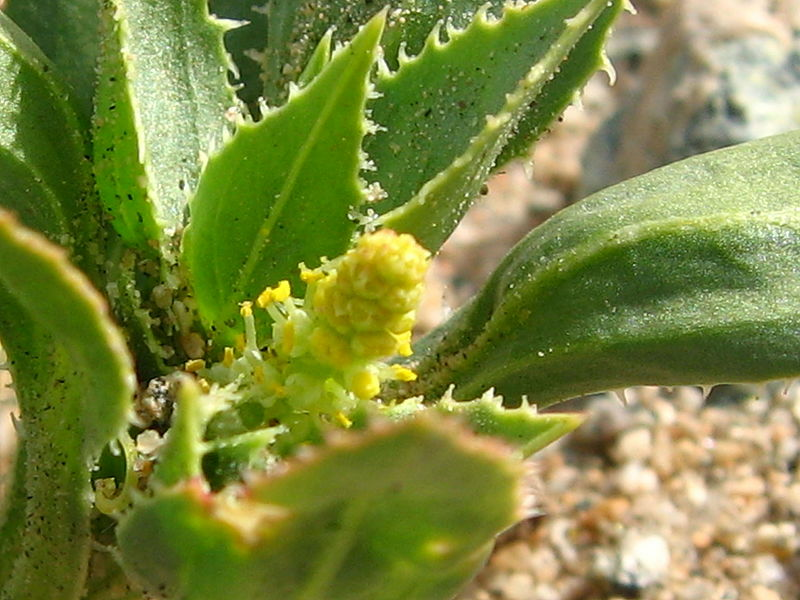 The distinctly rounded shape of the shrub helps to protect it from wind and blowing sand while the revolute leaves aid in the retention of water and allow the plant to survive in harsh, dry (xeric) habitats or drought conditions. Rosemary balds are areas with excessively deep, loose sand and harsh conditions, where rosemary is the only surviving shrub. While it may be locally abundant, it is considered a threatened species in some parts of its range. Rosemary is easily destroyed by fire. Rosemary is found in coastal plains from southeastern South Carolina to southern Mississippi and peninsular Florida.